Viu Manent reviews from James Suckling. 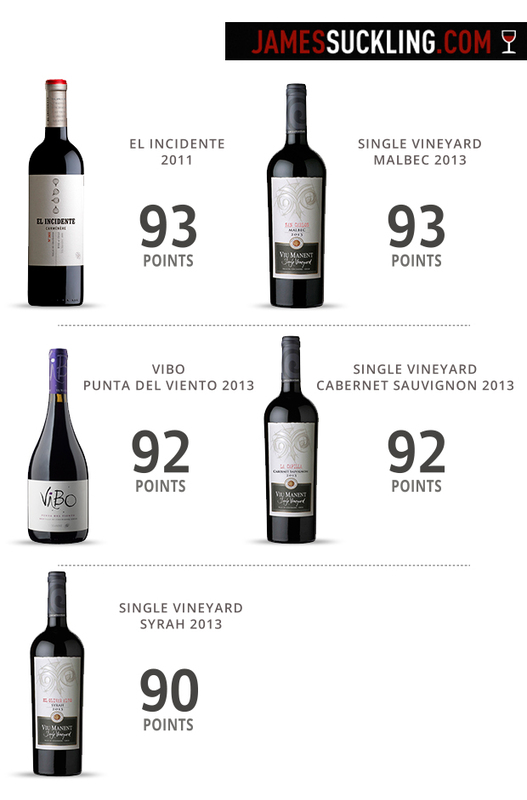 Our Viu Manent wines were highlighted on James Suckling Wines of Chile review. (Prestigious wine critic formed in Wine Spectator magazine). James Suckling is one of today’s leading wine critics, whose views are read and respected by wine lovers, serious wine collectors, and the wine trade worldwide. He is currently the wine editor for Asia Tatler and its nine luxury magazines in the region, including Hong Kong Tatler, China Tatler, Singapore Tatler, and Thailand Tatler. He reaches more than 2 million readers in Asia each month. However, most of his time is spent working for his own website, JamesSuckling.com, as well as promoting his 100 point wine glasses with Lalique, the famous French crystal house.